This article is 238 days old. 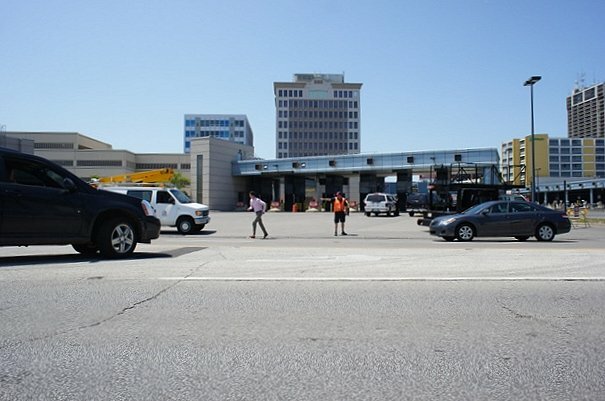 The Canada Border Services Agency is anticipates higher volumes at its ports of entry over the Labour Day Holiday weekend. Plan your border crossing: Check border wait times using the CanBorder App and cross at the least busy port of entry in the area. Historically, long weekends result in higher than normal volumes; plan your entry during non-peak hours such as early morning. The Monday tends to be busiest; plan around it. Know your purchases and keep travel documents handy: Know your personal exemptions and restrictions and make sure that each passenger has the correct travel document. Have your travel documents and receipts in hand when you arrive at the border. It is recommended you travel with a passport, as it is the only universally recognized travel document. Declare all purchases, acquisitions, and/or gifts received when returning to Canada: refer to the I Declare brochure on the CBSA website for more information. If you are bringing gifts, it is recommended they not be wrapped as we may need to examine them more in-depth. New surtaxes: Certain goods originating from the U.S. are subject to a surtax that apply to commercial shipments as well as goods being imported by travellers above their personal exemptions. The list of goods is available on the Department of Finance website. Cannabis. Don’t bring it in. Don’t take it out. : Despite the fact that cannabis (marijuana) will become legal and regulated in Canada in the near future, it will remain illegal to take cannabis across international borders, whether you are entering or leaving Canada. For more information, consult cannabis (marijuana) legalization. Know the contents of your vehicle: Travellers can consult the CBSA’s website for information on firearms and other restricted and prohibited goods. Travelling with children: CBSA officers watch for missing children, and may ask detailed questions about any accompanying minors. Travellers who share custody of their children should carry a consent letter and contact information for the other parent, so that officers can follow up and confirm details.